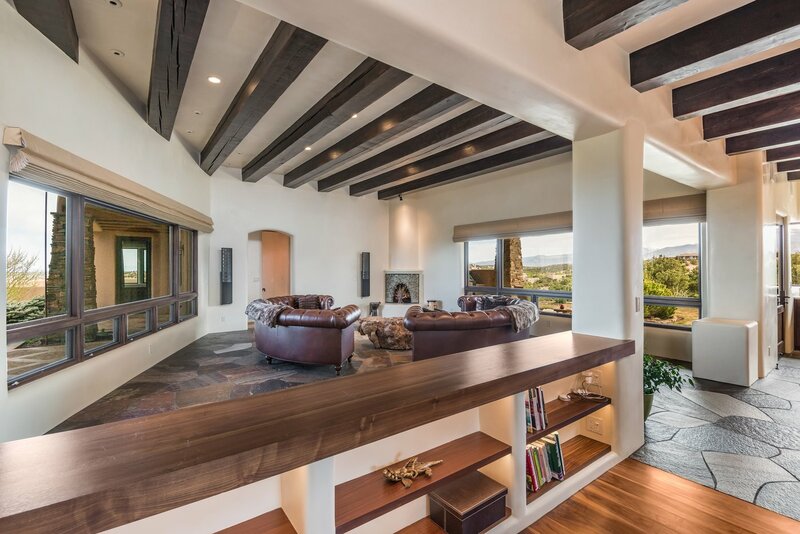 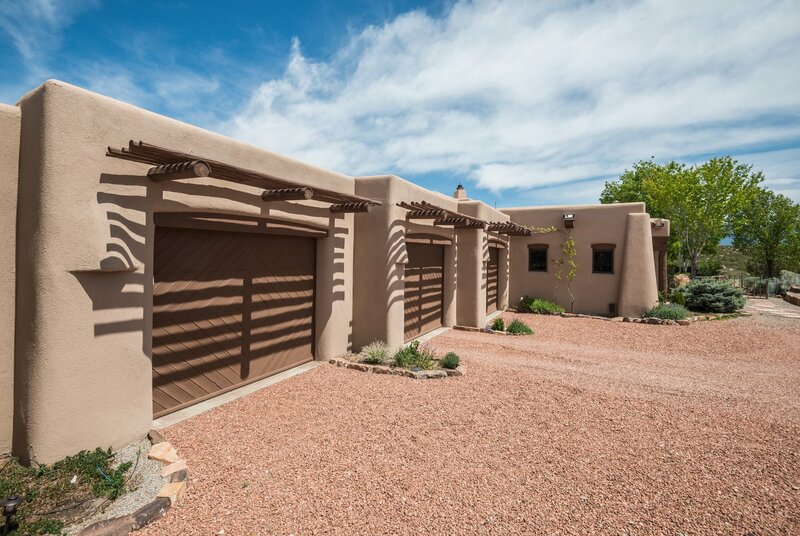 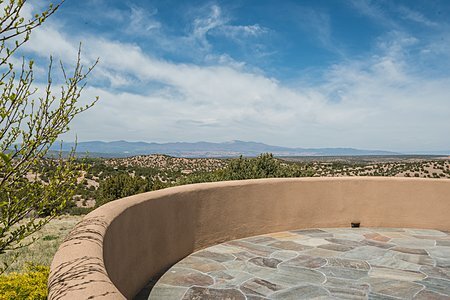 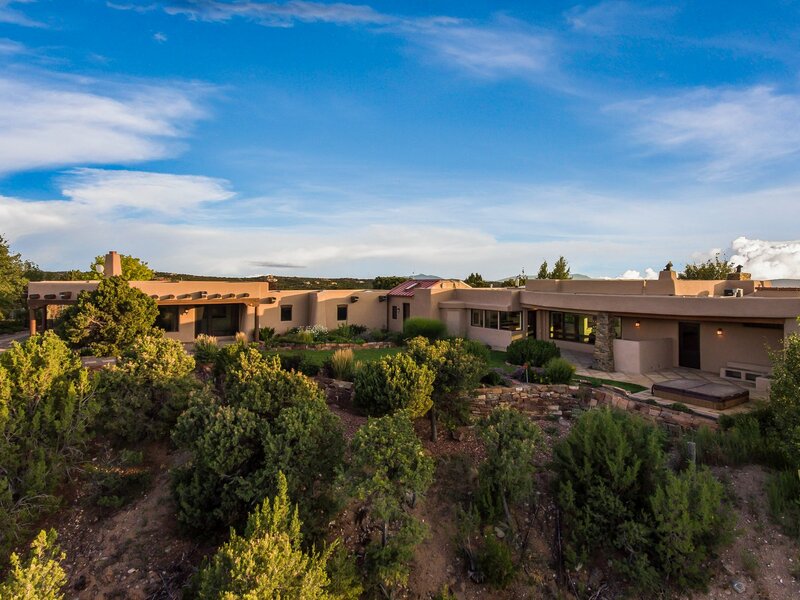 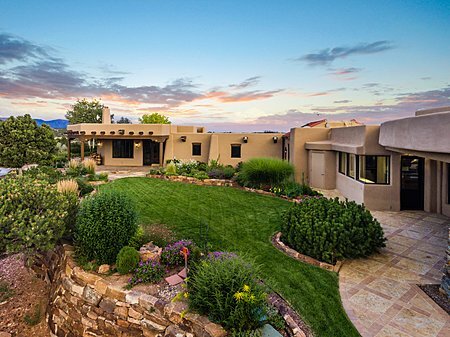 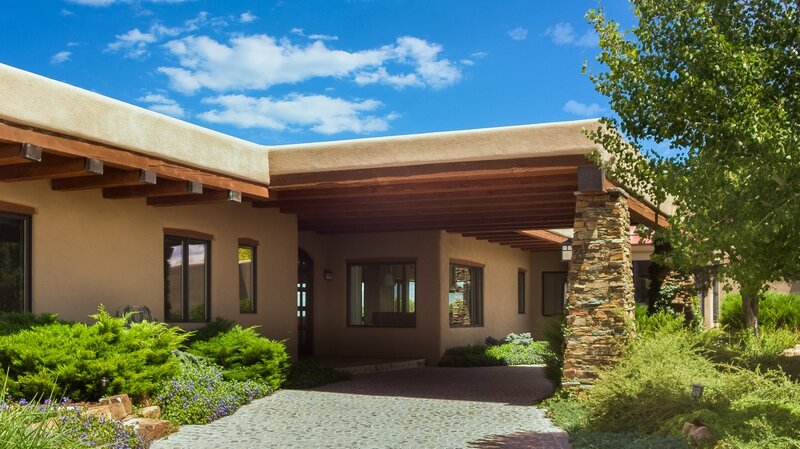 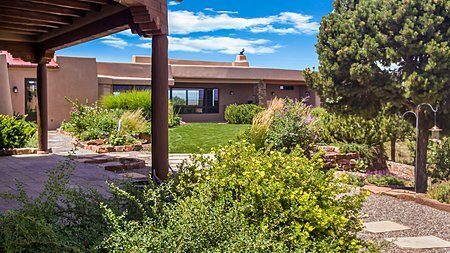 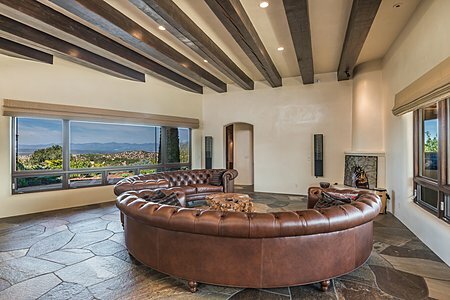 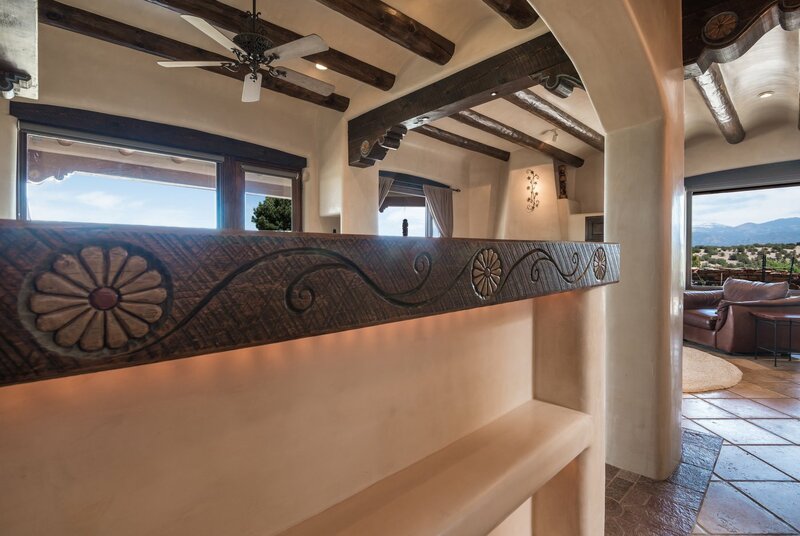 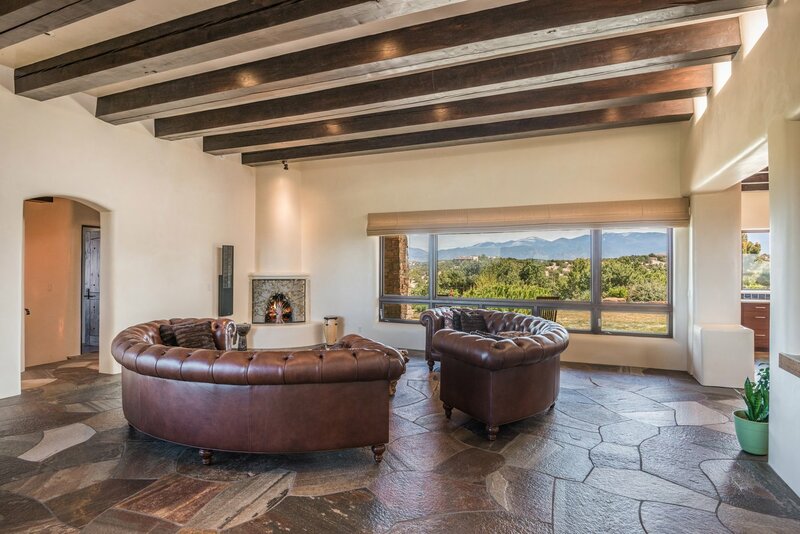 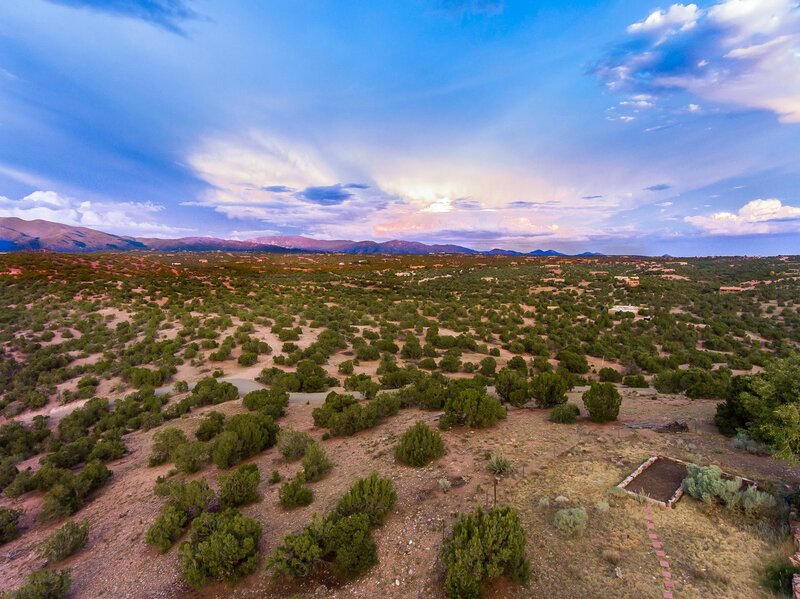 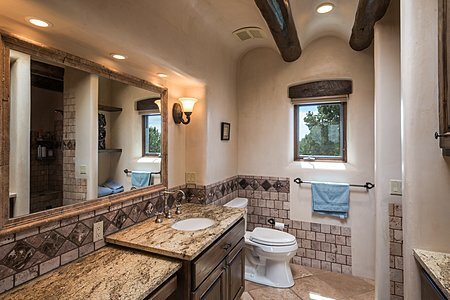 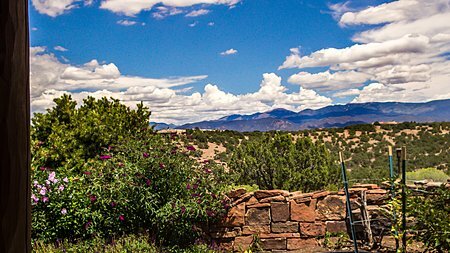 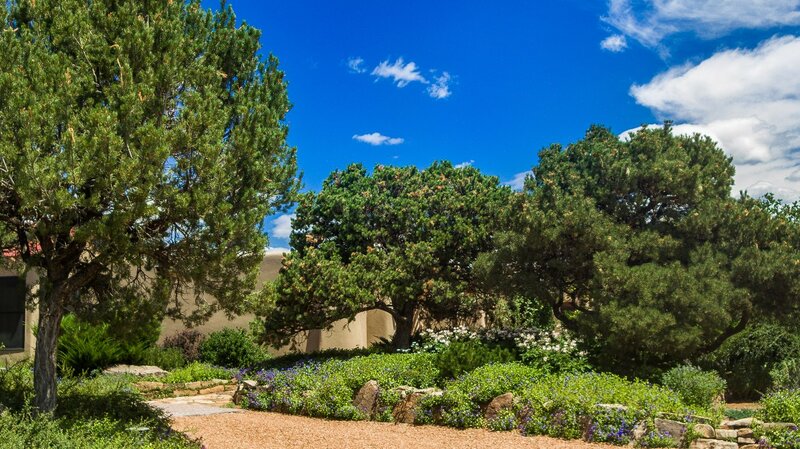 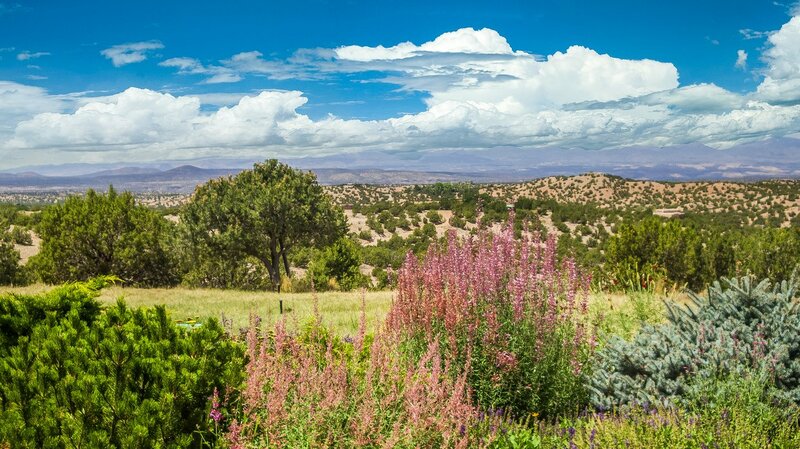 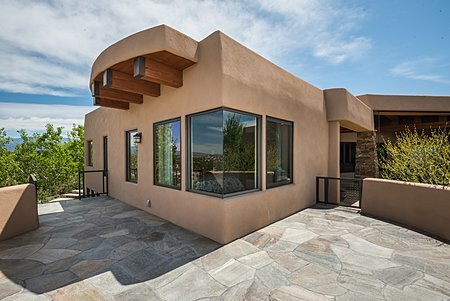 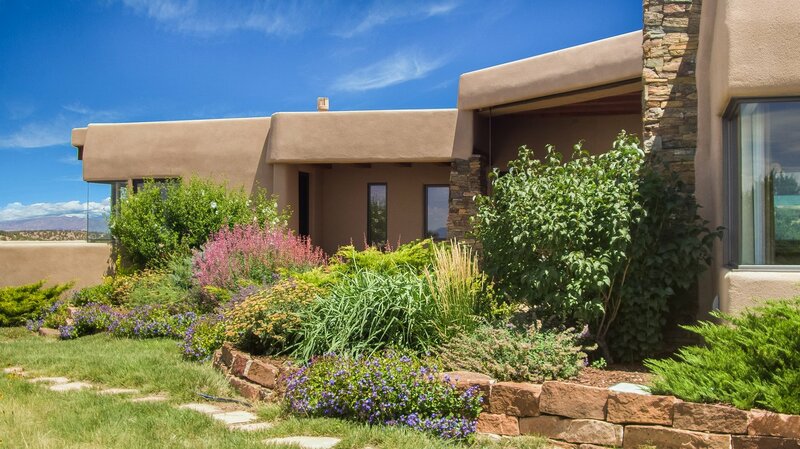 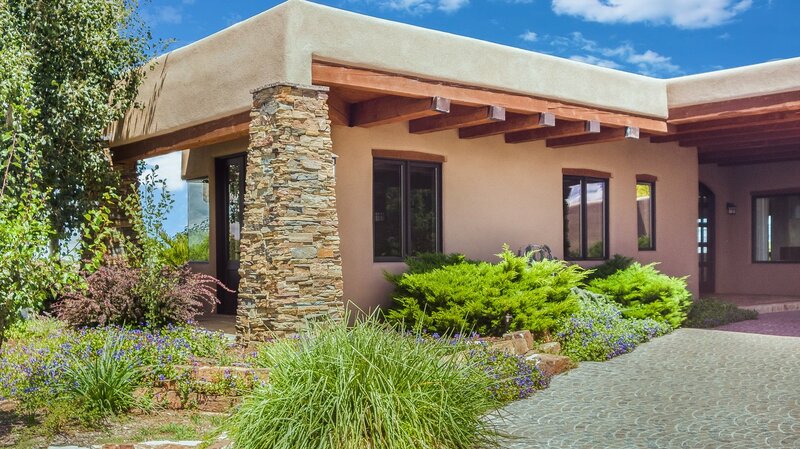 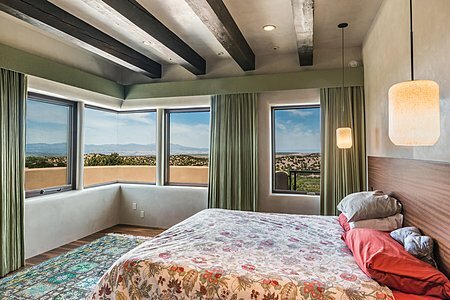 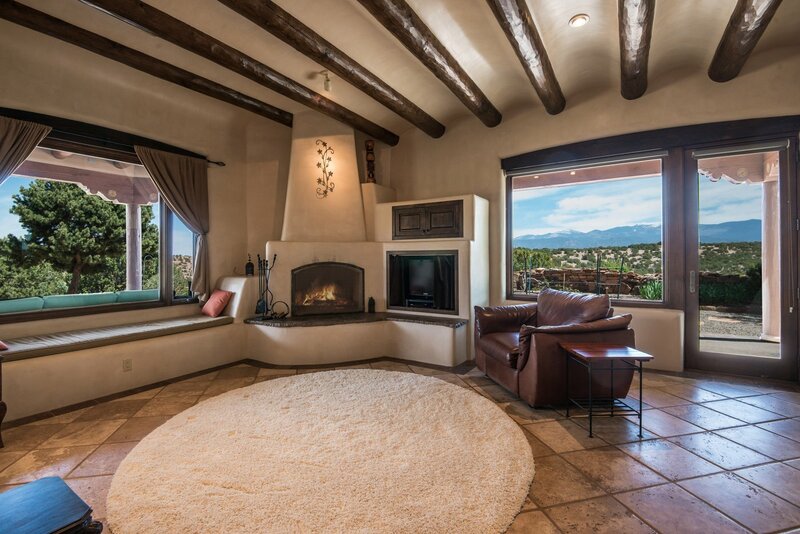 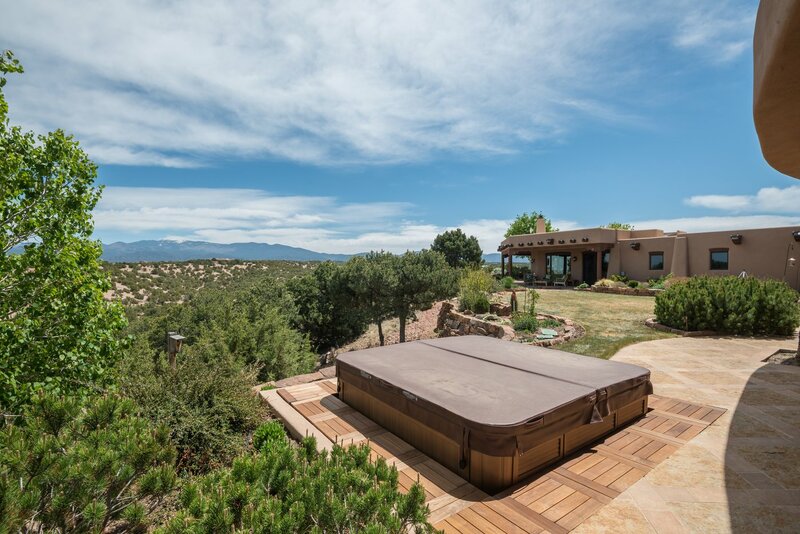 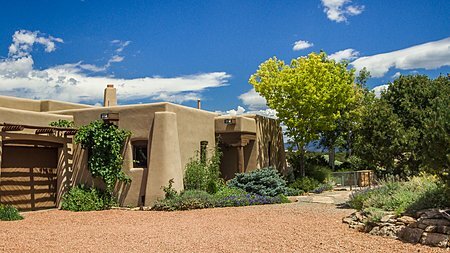 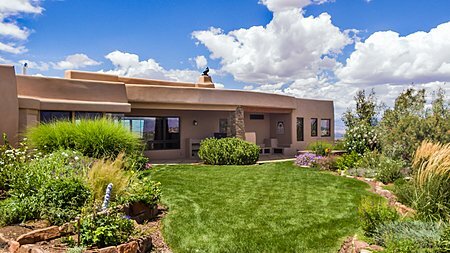 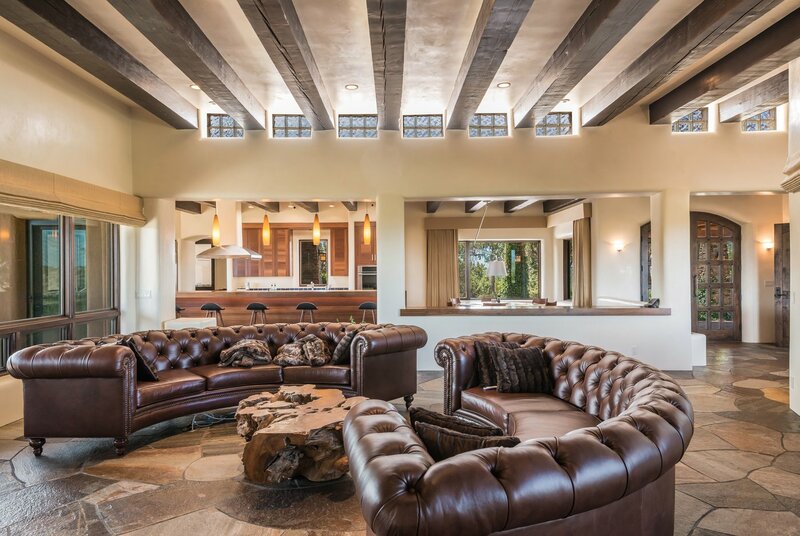 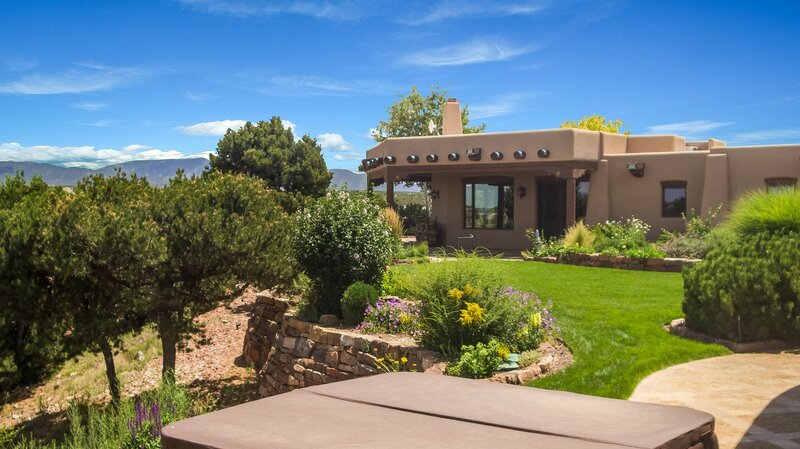 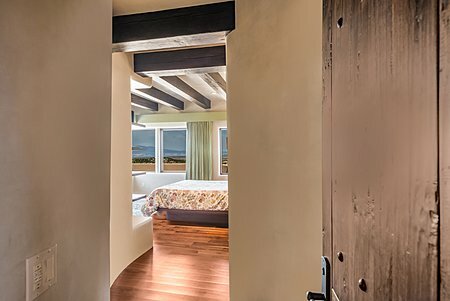 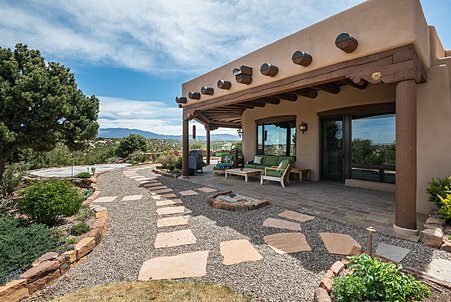 La Tierra's dramatic terrain is the backdrop for this magnificent hilltop estate. 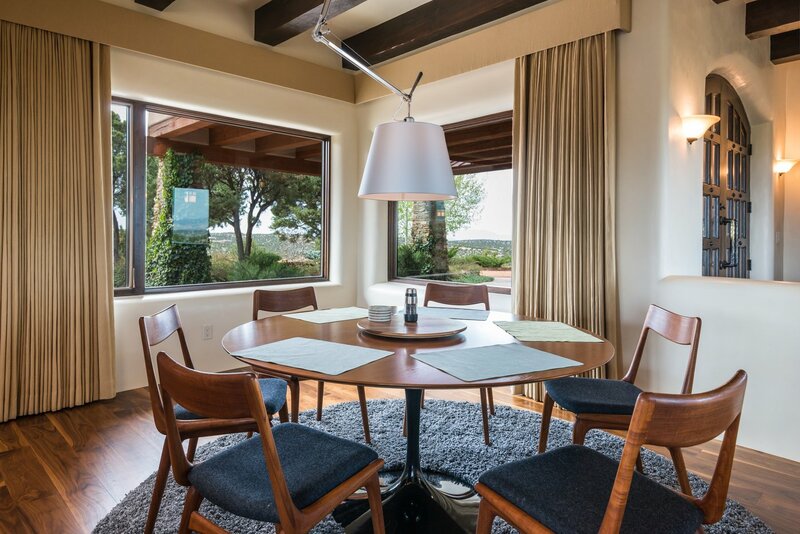 A relaxing ambience and soft natural light fill the main residence, the heart of which is a spacious living room. 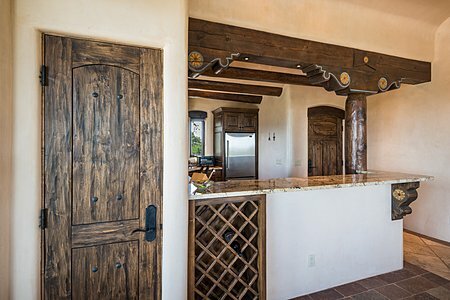 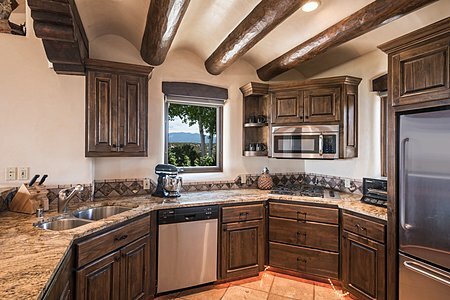 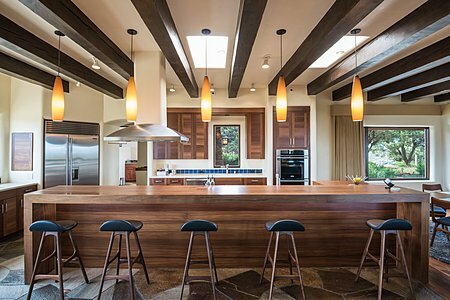 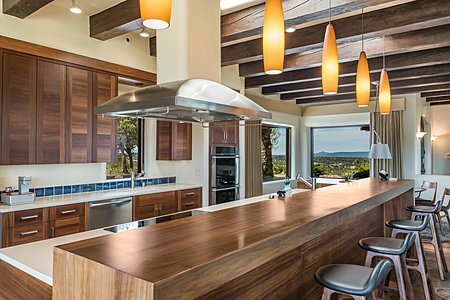 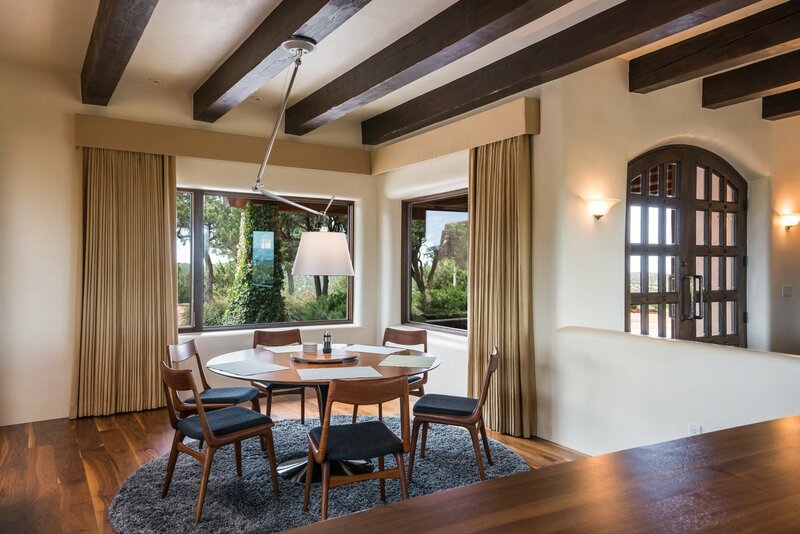 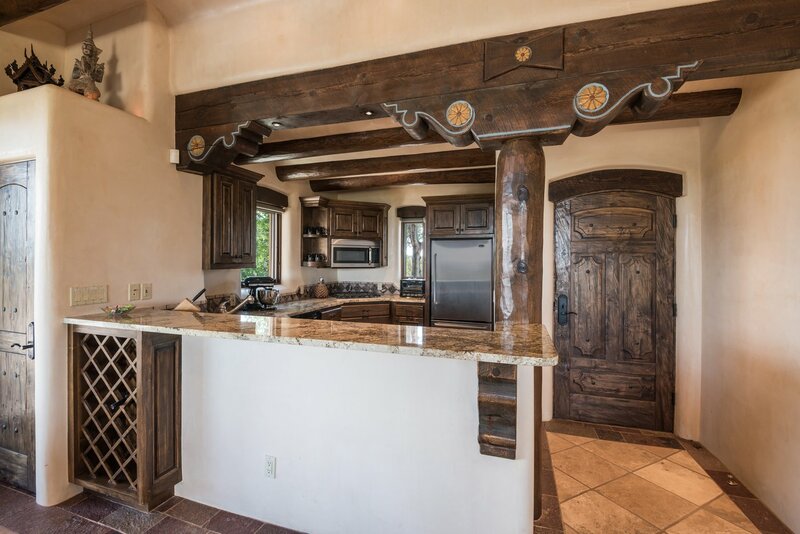 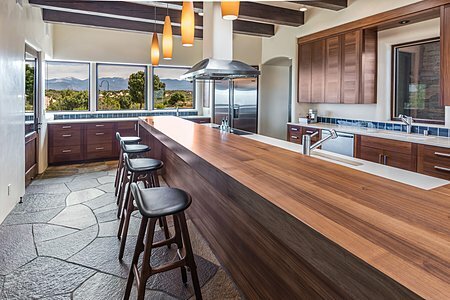 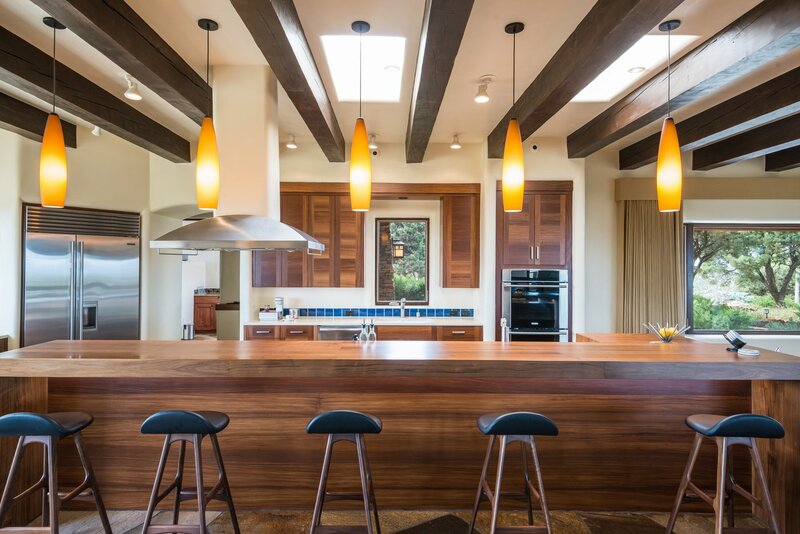 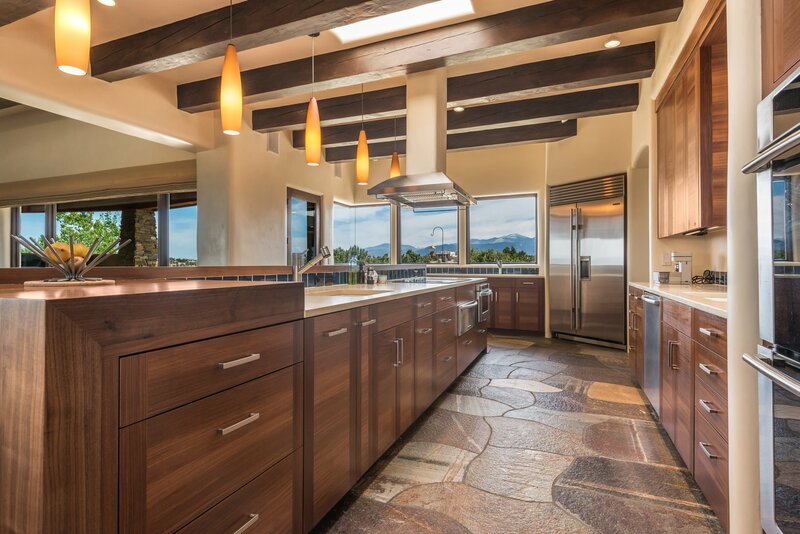 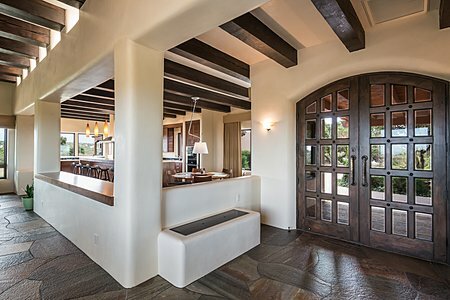 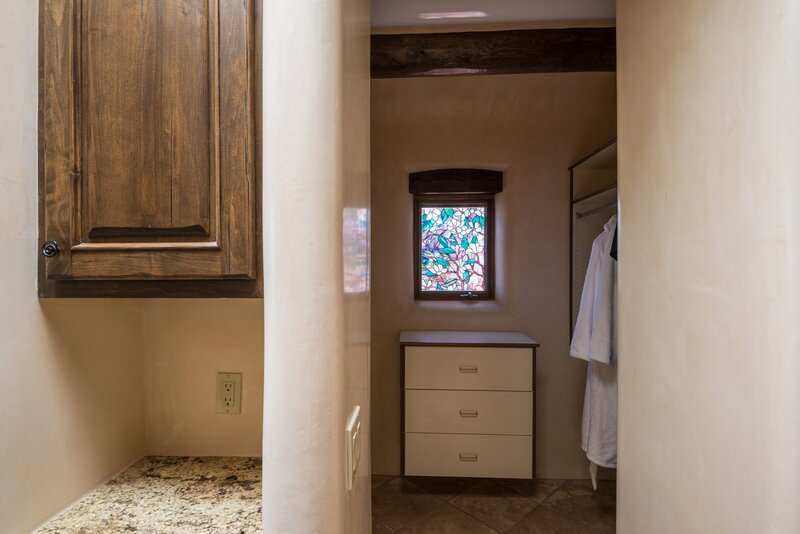 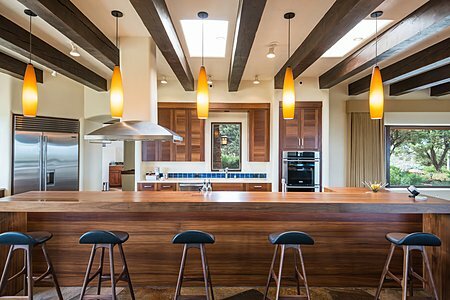 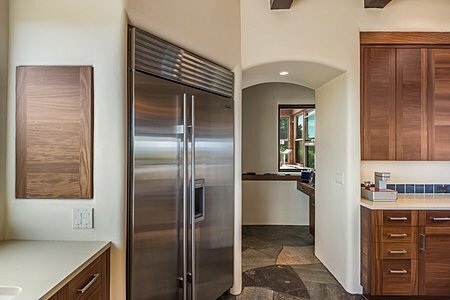 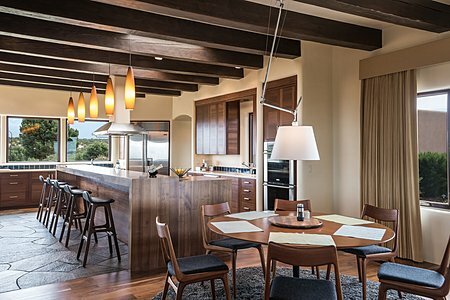 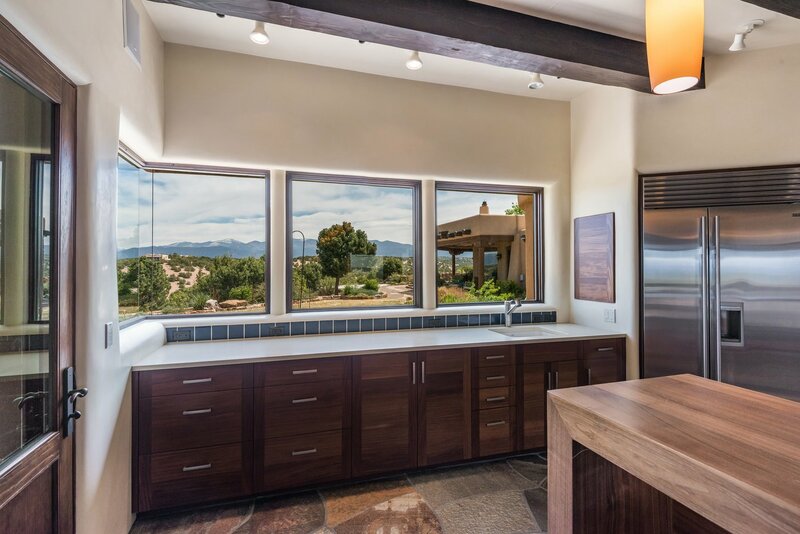 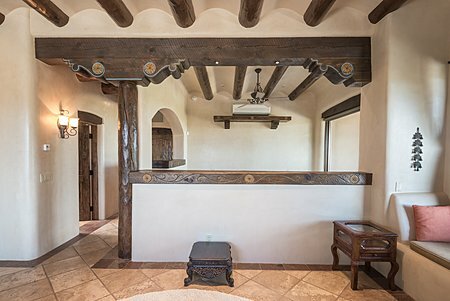 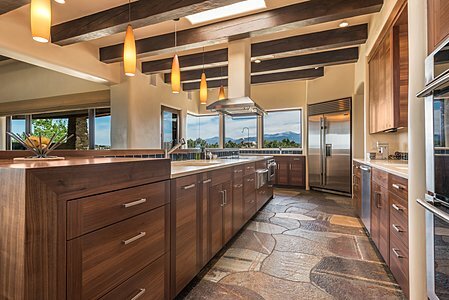 A kitchen, a dining area, and multiple portales adjoin, creating an ideal configuration for effortless entertaining. Nearby is a home theater boasting a built-in subwoofer, projector, and screen. 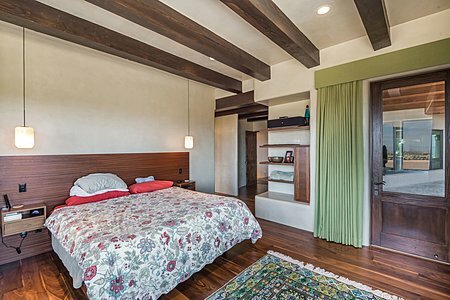 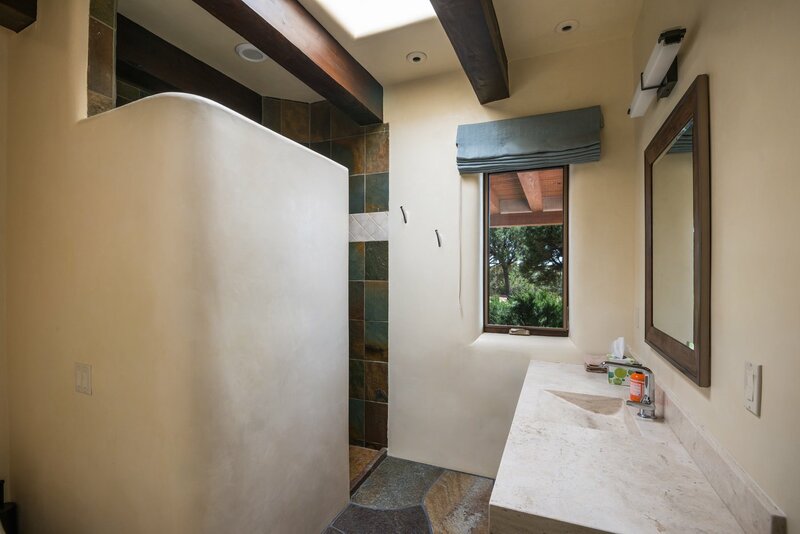 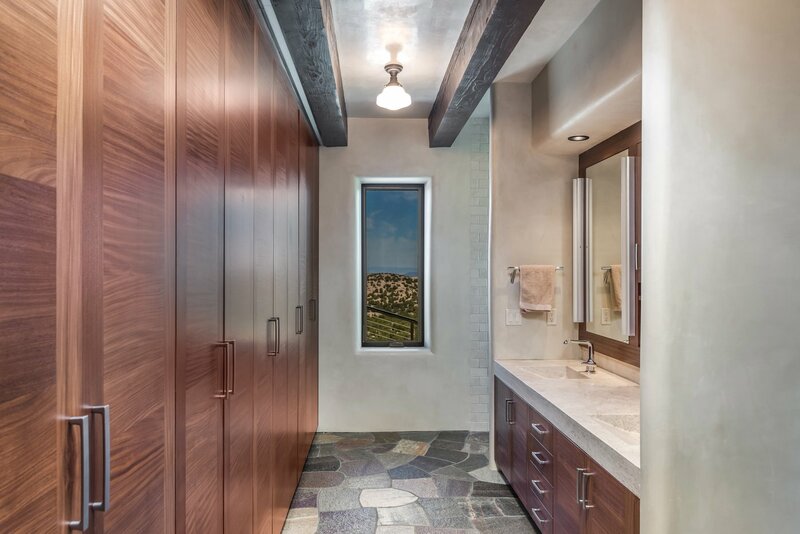 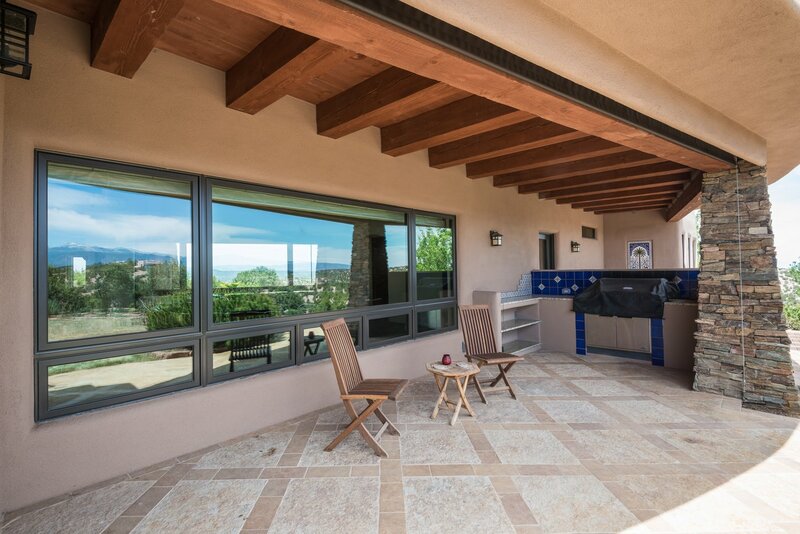 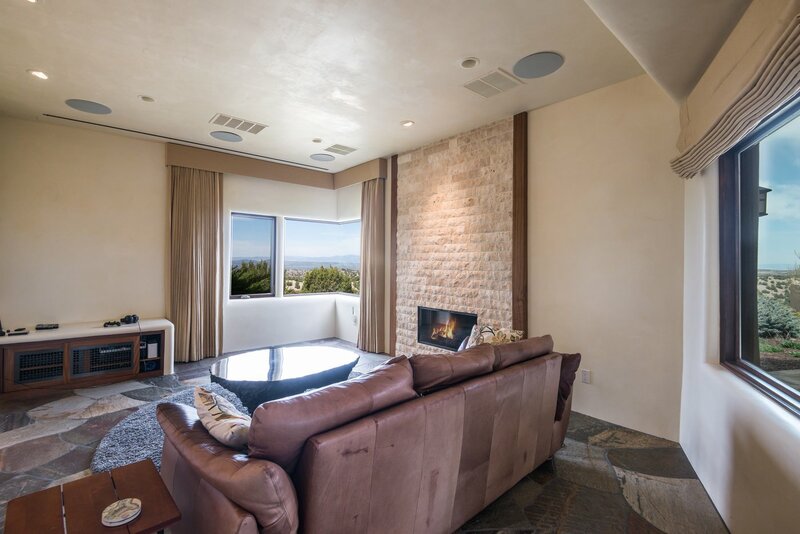 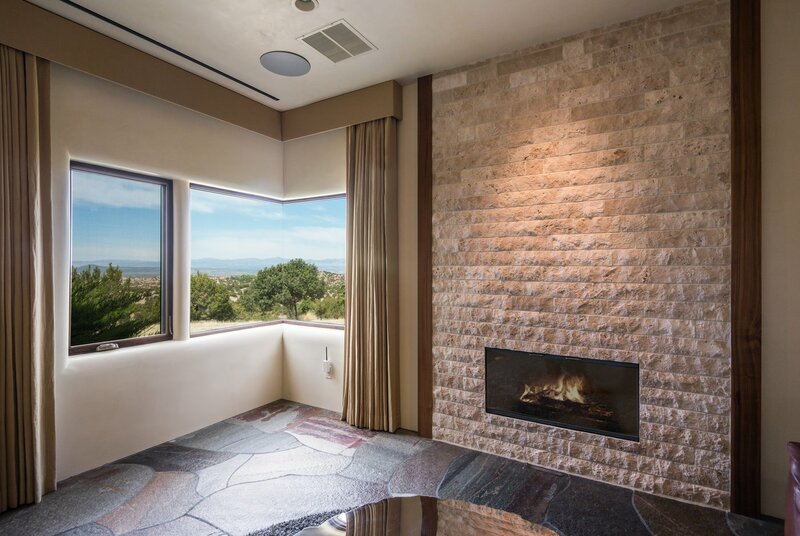 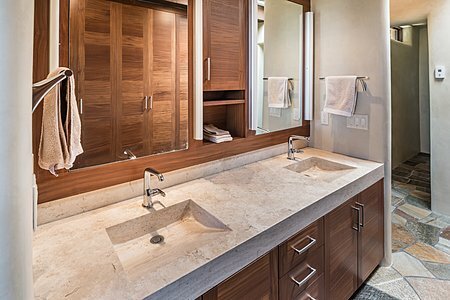 Tucked away on the cool north side of the home, the master suite easily accesses an open-air hot tub with a stunning view. Throughout the home, panels of glass "disappear" to blur the line between indoors and out. 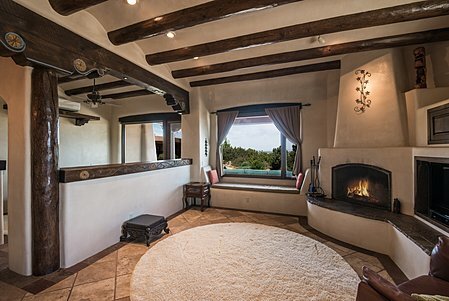 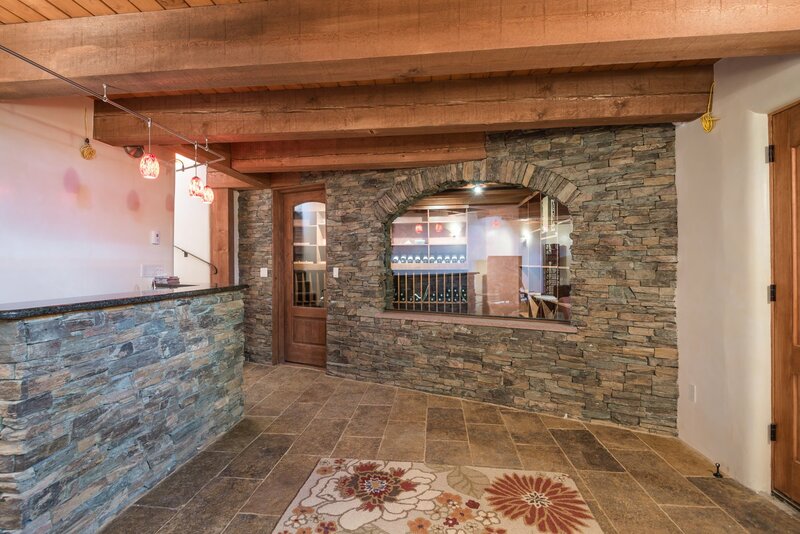 Handsome wood and stonework and thoughtfully placed fireplaces contribute to the distinctive style. With 50Mb/10Mb internet, a thorough smart-home system allows for management of lighting, temperature, and sound. 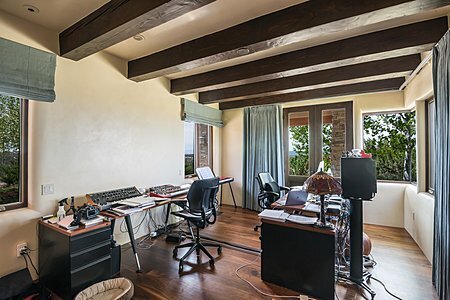 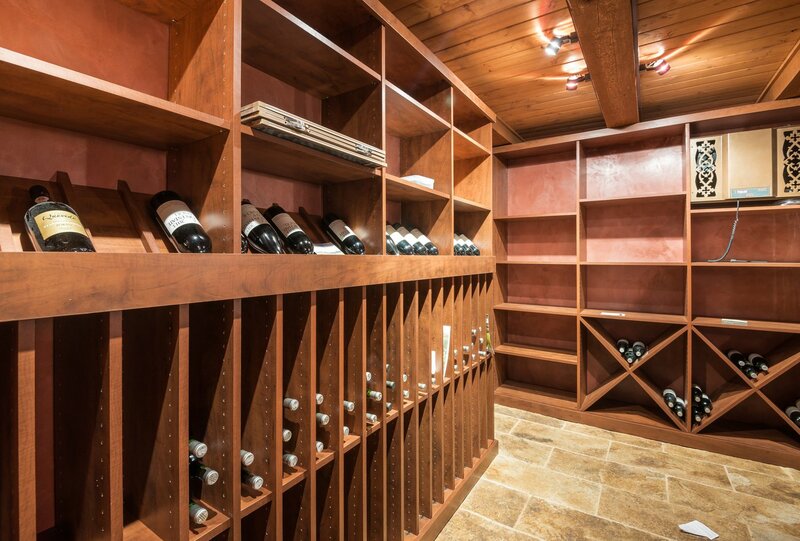 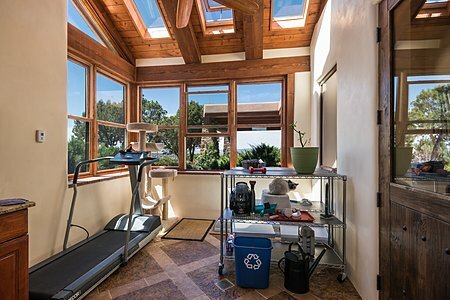 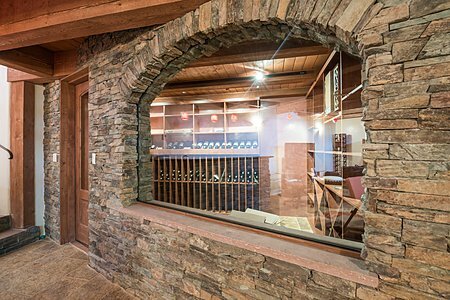 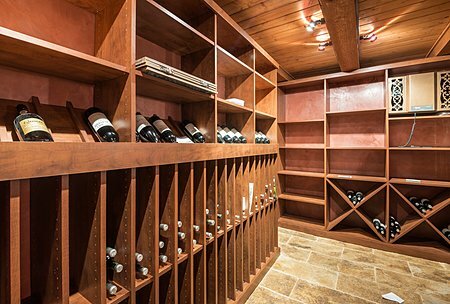 Adding to the appeal are an office or second bedroom, a lower-level recreation room with a bar and climate-controlled wine room, a charming 982-square-foot guesthouse, and an oversized three-car garage.